The Process for updating the Neighborhood Association Recognition Ordinance (NARO). The Neighborhood Association Recognition Ordinance (NARO) guides the work of the Office of Neighborhood Coordination (ONC). In the Fall of 2017, City Councilors expressed an intent to address the weaknesses and shortcomings in the NARO. 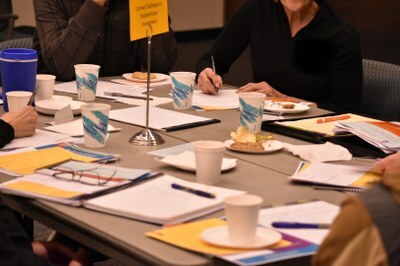 Since the first quarter of 2018, the City Council and the Office of Neighborhood Coordination (ONC) have been engaged in the Neighborhood Engagement Process (NEP), which is designed to identify community needs to inform updates to the Neighborhood Association Recognition Ordinance (NARO) and to initiate an ongoing dialogue and long-term, reciprocal relationship between the ONC and each of our city’s 263 neighborhood associations. Read an update on the NEP. Strengthened relationships between ONC, neighborhood groups, and other City departments. The NARO could be amended with clear language giving more authority to ONC to strengthen coordination between associations across the City. The NARO could be simplified to keep effective elements and clarify elements that result in conflict, confusion, and disagreements. The NARO rewrite may include additional guidelines or resolutions that identify internal ONC procedures to support neighborhood goals, priorities, and values. The process may include clearer guidelines regarding neighborhood association best practices and create trainings for neighborhoods to build capacity. Check this webpage frequently for how to get more involved, project updates, supporting materials, and process summaries.